The Tonasket Pool Association formed in 2014 to raise funds and build a new community pool. Led by a small group of local people, the Association raised nearly $1million. The city will take over management of the pool, with the support of the Parks and Recreation. We are so inspired by the Tonasket community!! In the last two years, they have raised over $950,000 to build a community pool. Yesterday, we joined the pool’s official opening ceremony – the the pool was FILLED with kids and families laughing and playing, and many community members came out for its dedication and BBQ. This small town of just over 1,000 spent thousands of volunteer hours on this project and many local businesses donated materials and time – all led by small group of local people who formed The Tonasket Pool Association in 2014 for this effort. The Community Foundation awarded $10,000 toward the pool project, and an additional $9,000 was raised by the public through Give NCW. 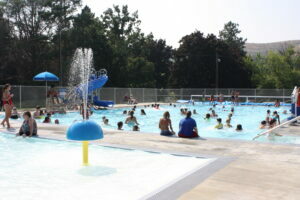 The pool is open to the public and tourists, with times dedicated for lap swims, and is available for parties and events. The community is working on creating a swim team and offering swim lessons. The City will take over management of the pool, with support from the Parks and Recreation. It’s truly incredible what a group of people can do who care so much about the place they live. What a gift to the community, for many years to come! Way to go, Tonasket!! We are excited to share some good news today: the first project of the Methow Trails Collaborative – opening the Falls Creek/Burch Mountain FS #518 trail – was a success! The Methow Trails Collaborative formed last year with a mission to join forces with other partners to increase efficiency in opening and maintaining trails across the Methow Valley. 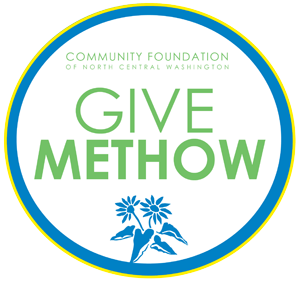 In October, the Collaborative sought donations for this first “Save-A-Trail” project through Give Methow, an online crowdfunding campaign hosted by the Community Foundation of NCW. Donations from 46 generous individuals provided over $5,000 in funding to support the project. In addition, over 300 hours of labor was put into the trail in one weekend thanks to 56 individuals who love and care about the beautiful trails of the Methow Valley. “This event shows the profound impact and experience you can have when our trail community converges” said Jon Albright of Methow Trails. A list of individuals who contributed both time and money to this project can be found at here. The Methow Trails Collaborative includes: the Methow Valley Ranger District, Methow Trails, Washington Trails Association, Evergreen Mountain Bike Association, the Methow Valley Backcountry Horsemen, Methow Snowmobile Association, Pacific Crest Trail Association, Rendezvous Huts, guides and outfitters, backcountry skiing, mountaineering, trail running, dirt biking and ATV clubs. Give Methow is coming in 2017! After rescuing 29 dogs and 150 cats from inadequate homes, the Wenatchee Valley Humane Society used all of their Medical Fund to treat them. 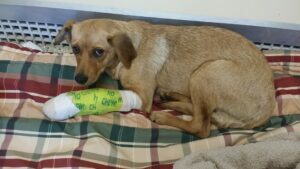 The Medical Fund covers dental care, surgeries, and anything not considered a regular treatment (spay/neuter, vaccines). With a Helping Hands grant, they were able to replenish some of the funds and ensure incoming animals received the care they needed. The Community Foundation of NCW has awarded a total of $43,500 in Helping Hands Grants to nonprofits in Chelan, Douglas, and Okanogan Counties in its last fiscal year, since July 2016. 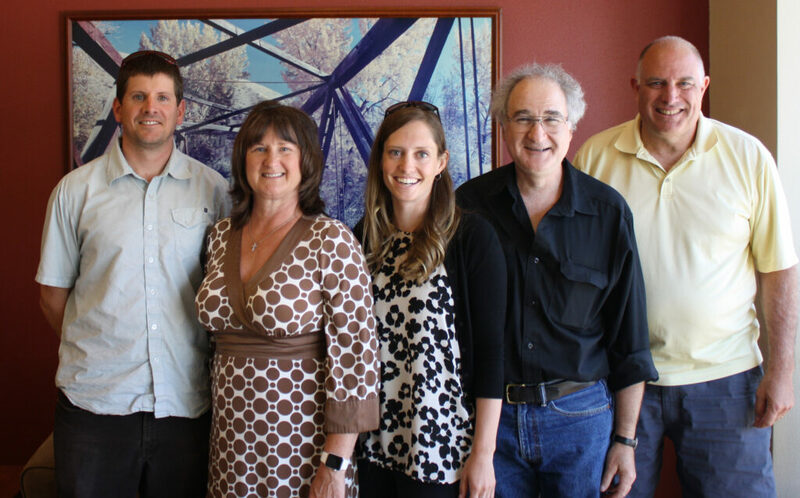 The Community Foundation of NCW has awarded $63,050 to Methow Valley nonprofits through the Methow Valley Fund (MVF). Established in 2006, the MVF is funded by an anonymous donor and donations from the public to support programs that address community needs and enhancements for the Methow Valley. The next Methow Valley Fund grant opportunity will be in December of 2017. 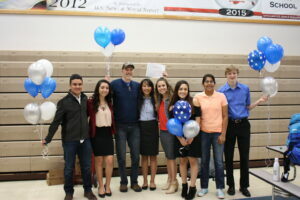 Dane Johnson, Middle School Options teacher, received $1,100 to take his students on a 3-day sailing excursion on the Salish Sea to help students better understand the scientific method and learn skills of sailing and navigating. 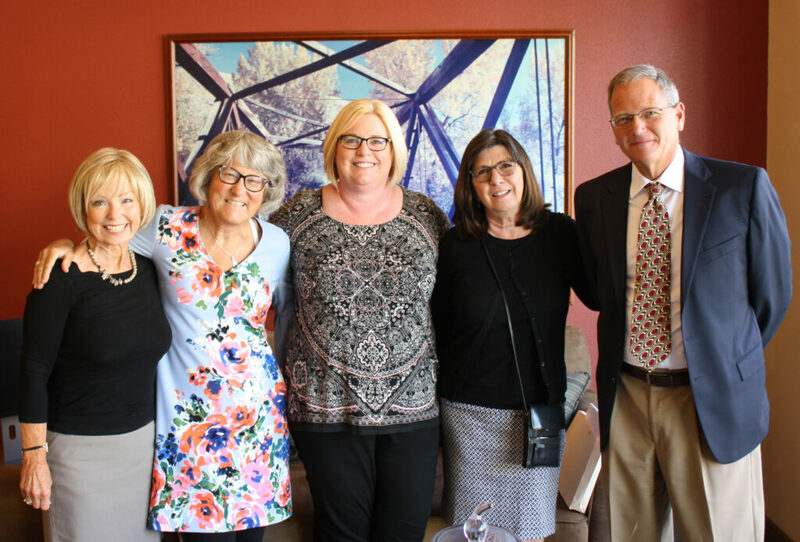 The Community Foundation of NCW has granted $10,000 through the Manson Giving Great Grants (MG3) fund to support teacher projects in the Manson School District. 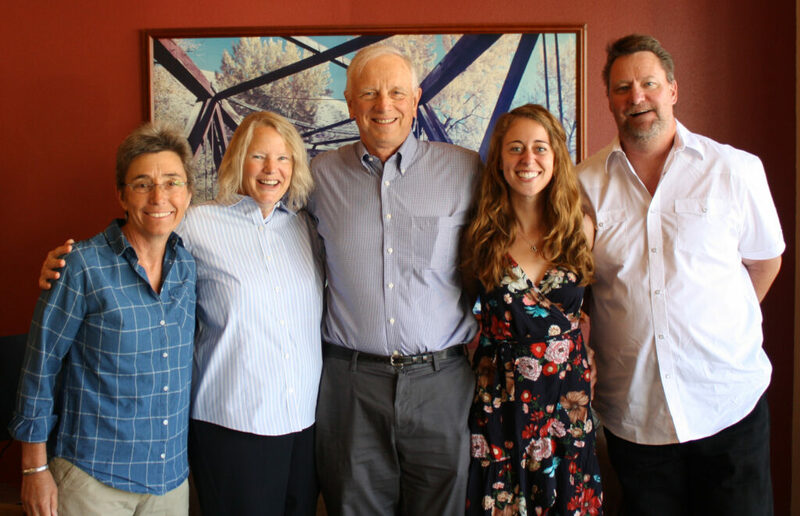 Longtime Manson residents Jack and Gale Courtney established the MG3 Donor Advised Fund to give students the experience of the grantmaking process from the funder’s point of view. Applications are submitted by school teachers and staff in the Manson School District and the student of the Associated Student Body review and determine final awards under the mentorship of foundation staff. “It’s really fun to watch these students have meaningful discussions about which projects will have the most impact on the school” said Denise Sorom, the foundation’s director of community philanthropy. Mia Cauley, Middle School Language Arts – $600 to support an 8th grade backpacking club. Students take short day hikes to prepare them for an annual week-long backpacking trip guided by Stehekin Outfitters. The camp will include studies of native plants, food, and ceremonies of Salish tribes as well as understanding ecology and geology. Ann Marie Flores, Elementary Options – $1,500 to support an overnight camp experience at Holden Village for 80 students in the Manson Options program. The un-plugged adventure blends academic learning with outdoor activities that will provide teambuilding and survival skills and build awareness of environmental stewardship. Phillip Fournier, High School Language Arts – $900 for a high school field trip to Seattle Art Museum and Museum of Pop Culture to help develop a deeper understanding of post-modern art culture and artists’ influence. Kayla Helleson, Elementary Counselor – $1,800 to support a weekly, half-day summer camp for students with transportation and/or cost barriers. Dane Johnson, Middle School Options – $1,100 to support an Options Middle School field trip to the Salish Sea to help students better understand the scientific method and learn skills of sailing and navigating. Before the excursion, students will develop a hypothesis, then gather data on a 3-day sailing trip using marine tools for a “hands on” science experience. Kami Kronbauer and Jennifer Koth, High School Directed Studies – $2,000 to for supplies and materials for directed studies program, where students choose courses to study such as robotics, aviation, remote controlled airplanes, building go-karts, jet skis, and more. Karoline Martin, Librarian – $500 to purchase a vetted list of new hard copy and e-books requested by students for the Secondary Library. Jared Mumley, Secondary Science – $1,000 toward Wireless Smart Carts that provide precise, real-time data collection to better connect students to highly mathematical, abstract concepts in physics and computer technology to prepare them for the 21st century workforce. Keitlyn Watson, Elementary Principal – $600 to provide a game or puzzle for each family to take home as incentive for attending STEAM night and encourage practicing math skills at home. For more information on grants and Donor Advised Funds, visit www.cfncw.org.